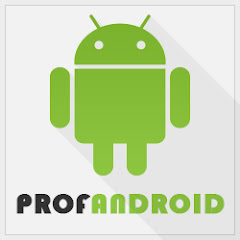 There is a wide variety of software, which is supposed to help with deleting files and optimizing Android devices. However, it’s often hard to find really high quality and trustworthy programs. The CCleaner Android app is one of the most popular ones in this category, so we will provide more information about it in the article. Initially, the given program was created for Windows and it gained great popularity among the users all over the world. The developers did not stop there: in 2014, they designed the Android version of the software. You can download CCleaner for Android here (the installing is free). 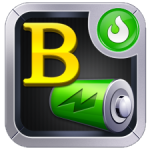 The application is good for cleaning up a cluttered phone or tablet in a couple of minutes. The program consists of three main folders: “Cleaner”, “App manager” and “System info”. The first folder gives an opportunity to free up the memory of the device, e.g. if the phone has limited internal memory. To find out how much memory can be cleaned, click “Analyze”. The result of the analysis will show the amount of space you may save and files which take the most space on your device, find possible errors. 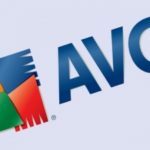 After this, users have an opportunity to completely clean all the found garbage or individual files or folders. Moreover, in Cleaner directory, you will see how much cache your apps have. You’ve a possibility to sort programs in alphabetical order or by the size of their cache. 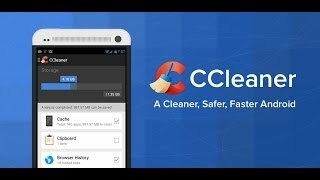 The application has a user-friendly interface, so it is easy to delete the cache data, so it is an important feature of the CCleaner for Android mobile. You can also clean the browser history or phone calls/SMS logs. Perhaps you need to save some space, you’ll be offered to delete call logs that are older than 1 month. After a couple years of use, the Android phone or tablet can have loads of unnecessary applications installed. The “App master” folder is a solution to uninstall all of them. For example, it will be reasonable to use the CCleaner on Android tablet, because it often has many useless games that were played only once but not deleted afterwards. You can sort programs in different ways and find out the size of their data, cache, external media etc. Choose the programs you want to delete and press OK to confirm the action. Agree that it is simpler than to uninstall every app manually. This directory of the CCleaner master tracks the usage of your Android device. 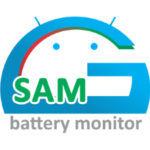 It reflects the CPU activity (user, system and idle), internal storage characteristics and battery information (level, temperature). This info can be useful, if perhaps user wants to organize the usage of the RAM. The given program has many advantages, such as high efficiency, finding the unnecessary files in the memory, useful app manager etc. However, this software is not the most powerful on the market for experienced users. Nevertheless, if you are an average user, the Piriform’s CCleaner application can become your favorite pocket assistant.